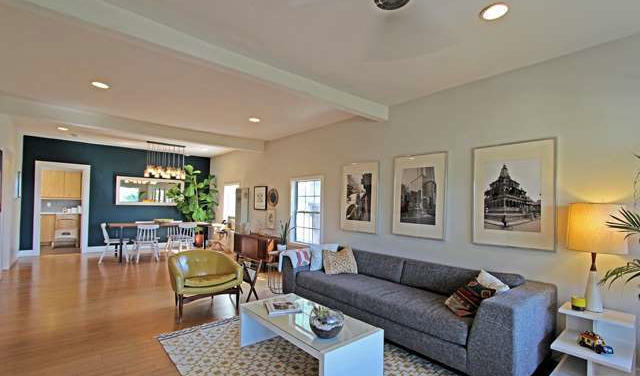 When going about updating an older home–such as this 1907 California Bungalow at 1554 Lemoyne Street–to do it proper is a challenge in finding a balance between preserving the original character, while bringing what’s expected into the contemporary world. Thankfully, this place did it right. 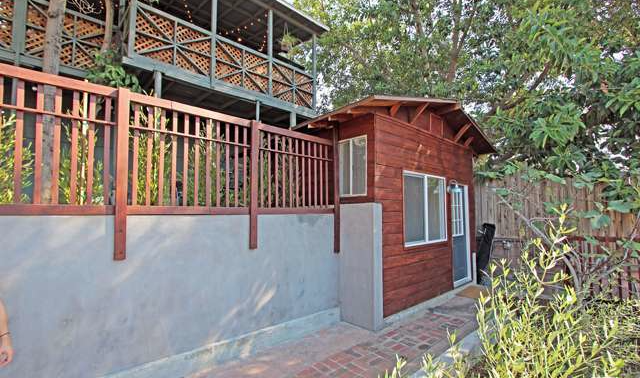 For $659,000 this 2 bedroom, 1 bath dwelling includes solar power, a detached studio, and a new foundation, along with ample parking. And though it’s interior comes in just over 1,000 square feet, a sizable covered porch, deck, and yard help to increase livable space and promote an al fresco lifestyle. Thankfully, a large swath of that interior footage is designated to the living and dining area. Though there is no division between the spaces, the open bright living room stands at a contrast to the accent wall and mason jar chandelier in the dining area, which also helps bring a touch of warmth to that side of the room. 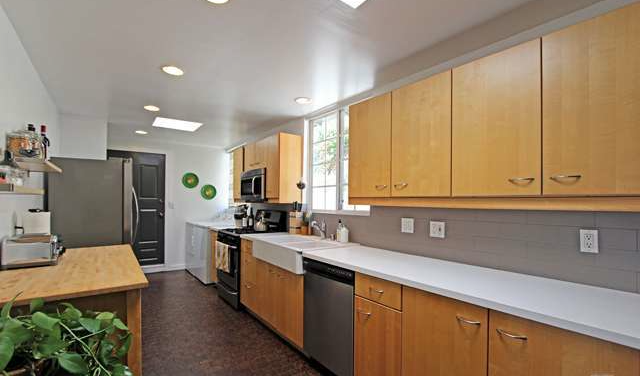 The long galley kitchen is straight-forward modern. Darker flooring, unique to the kitchen, lends itself well to the otherwise bright counters, farmhouse sink, and over-abundant light wood cabinetry. 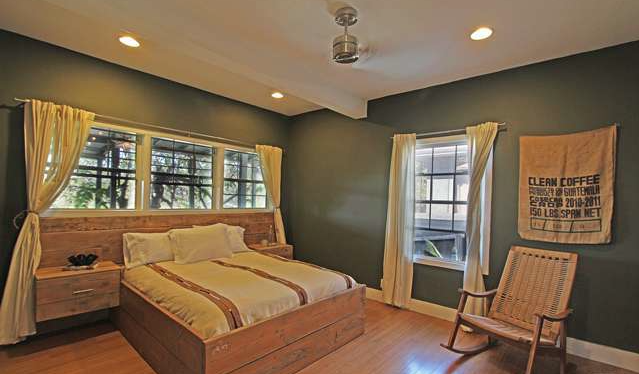 The master bedroom is sizable, particularly when compared to the tiny guest bedroom. 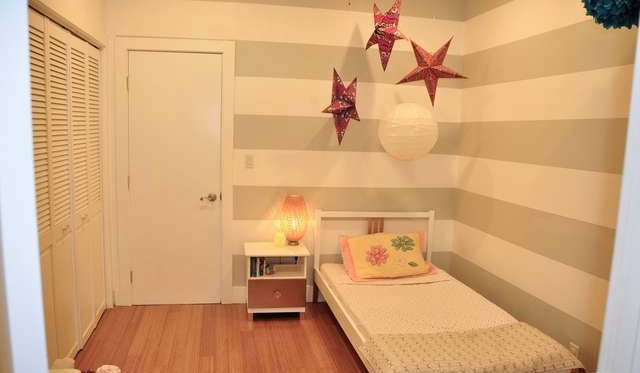 While wall color is a completely subjective matter, I like the choices they’ve made for both rooms. If you’re going to be stuck with a singular bathroom, it may as well be as decent as this one. 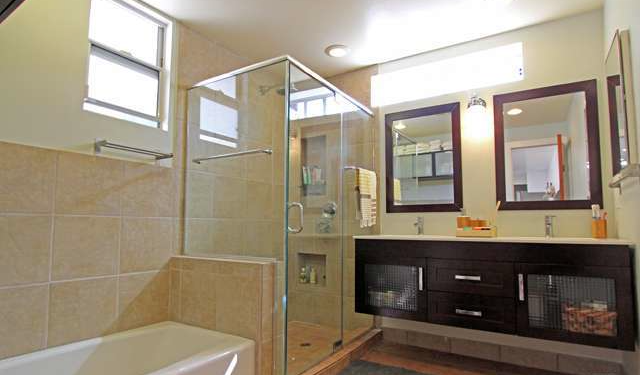 Tile floors, plenty of mirrors, and a stand-alone shower and bath certainly don’t hurt. I am not sure when it was written into Eastside building codes that every new or updated home come equipped with a separate studio (read: it wasn’t), but based on our experience, this is becoming increasingly common. Does everyone fancy themselves an artist now? 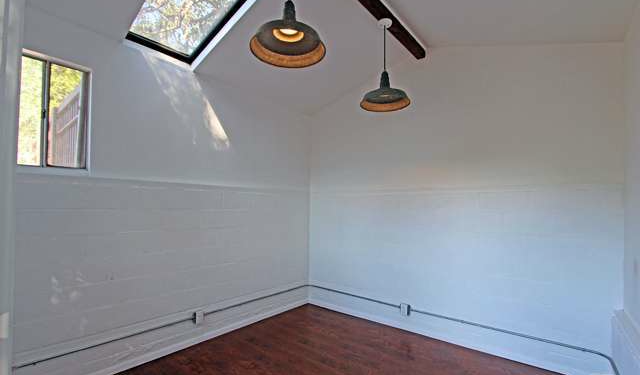 I like how they incorporated this studio into the foundation. 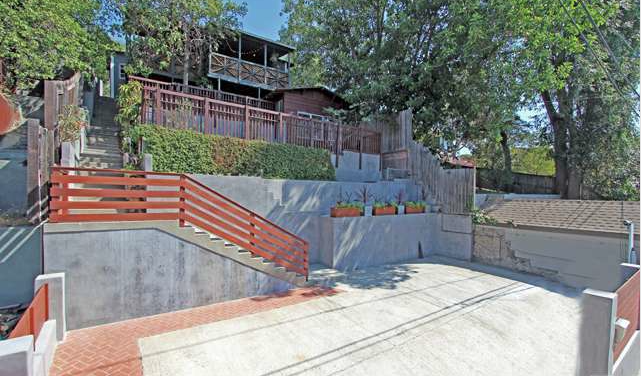 It seems as though considerable effort was put into making sure this unique take would work well with the older home. 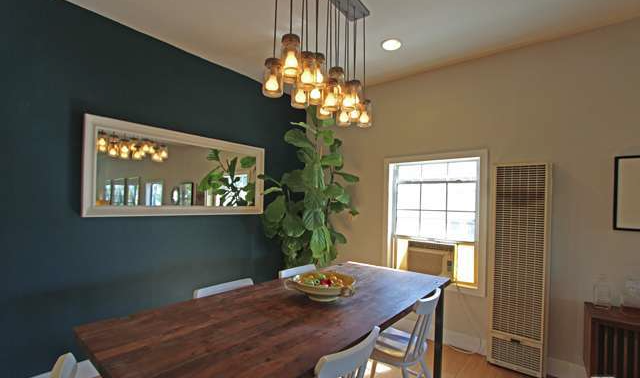 We’re also fans of the industrial pendant lights, too. 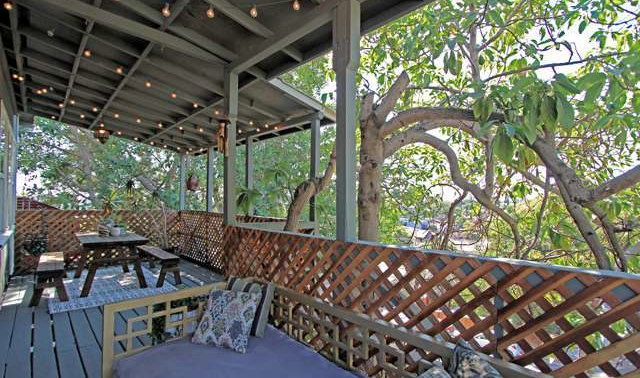 As mentioned earlier, an ample-covered porch increases usable space. Gotta love the use of those stringed tea lights as well. 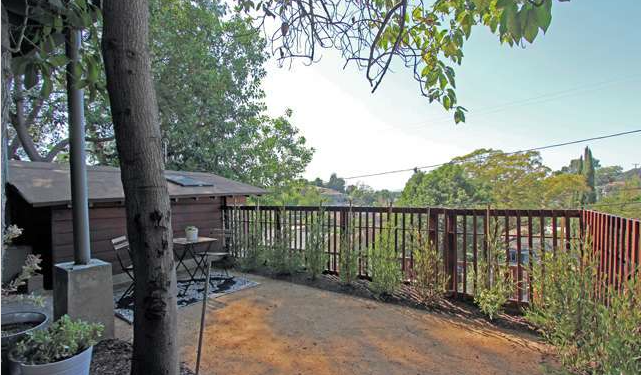 Additionally, there is also a separate, somewhat secluded terrace with excellent views.